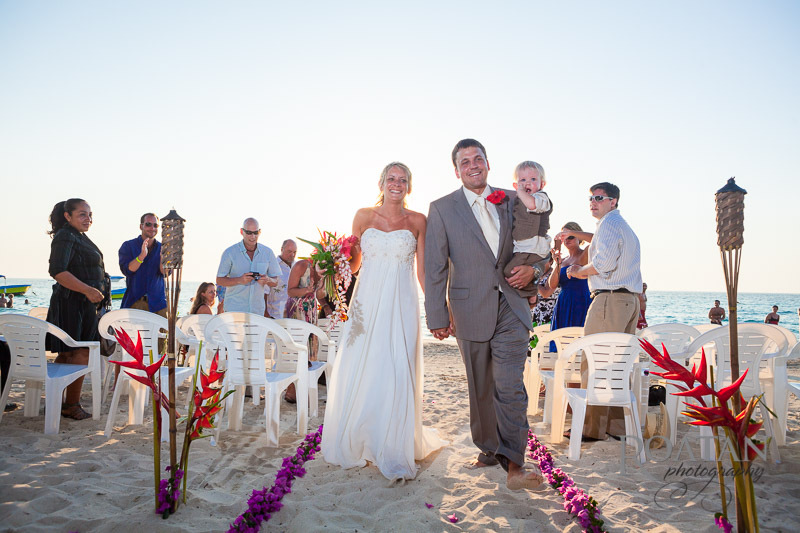 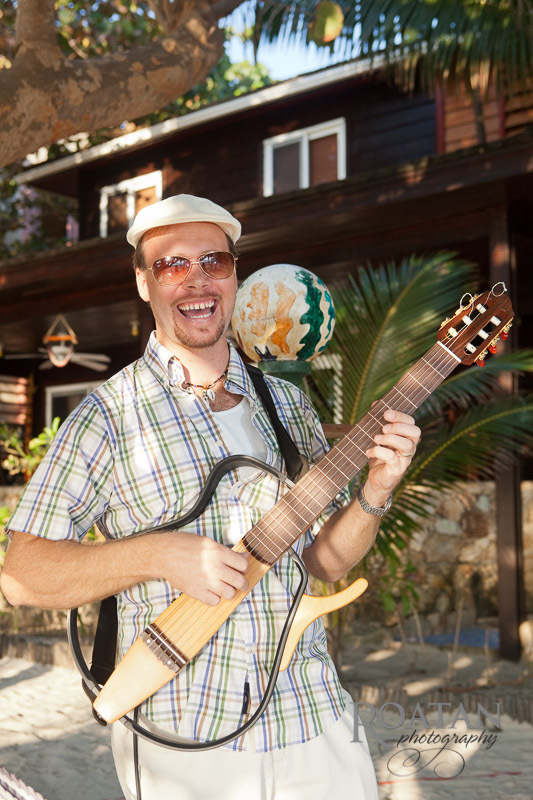 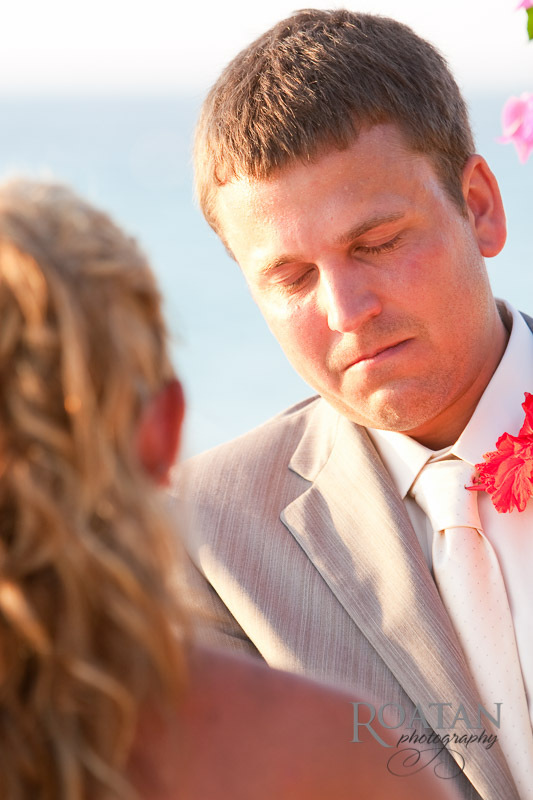 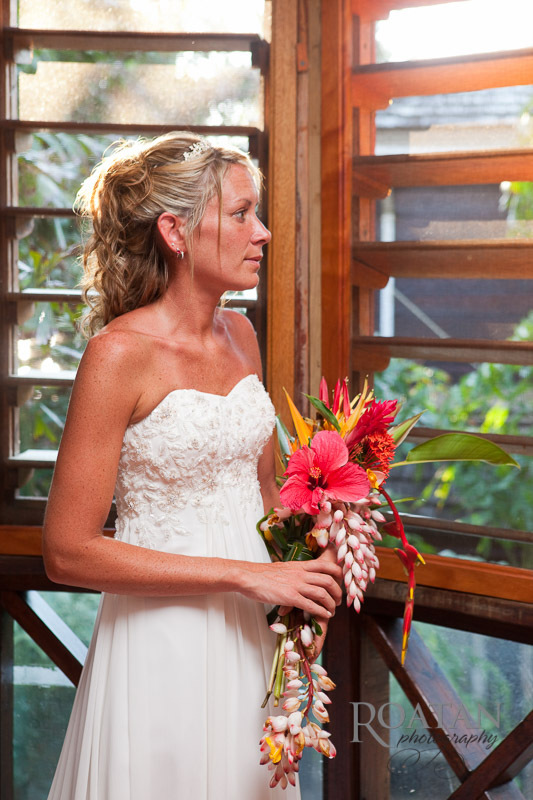 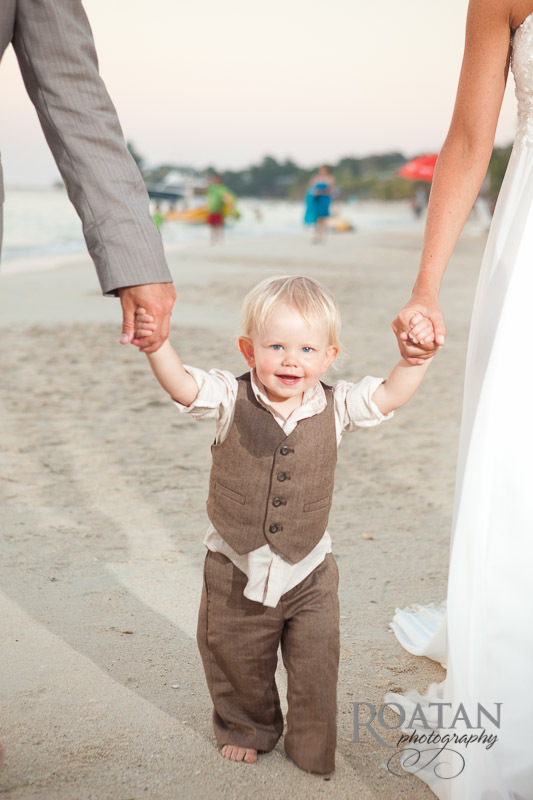 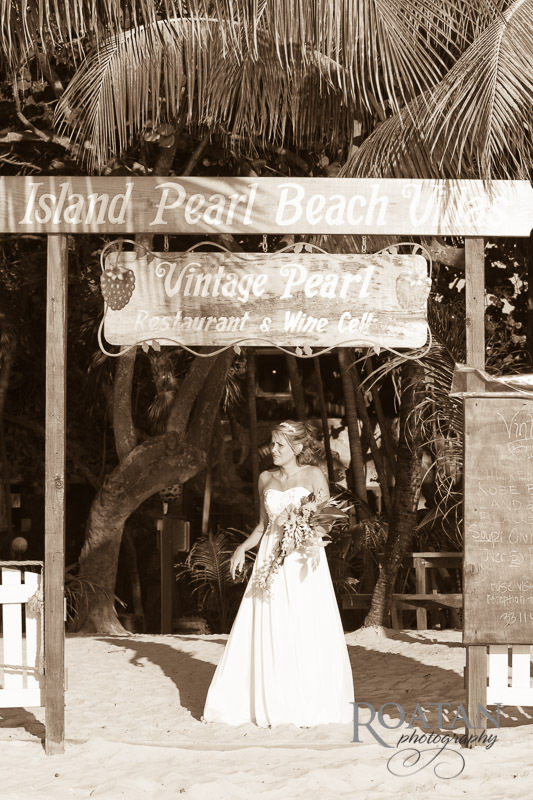 Here are a few photos from a sunset beach destination wedding at Bananarama Resort and Island Perl. 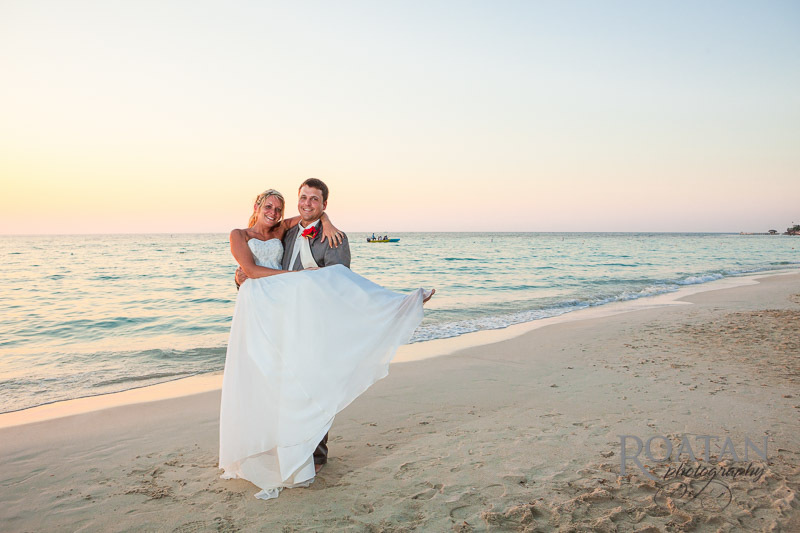 It was a perfect day with clear skies. 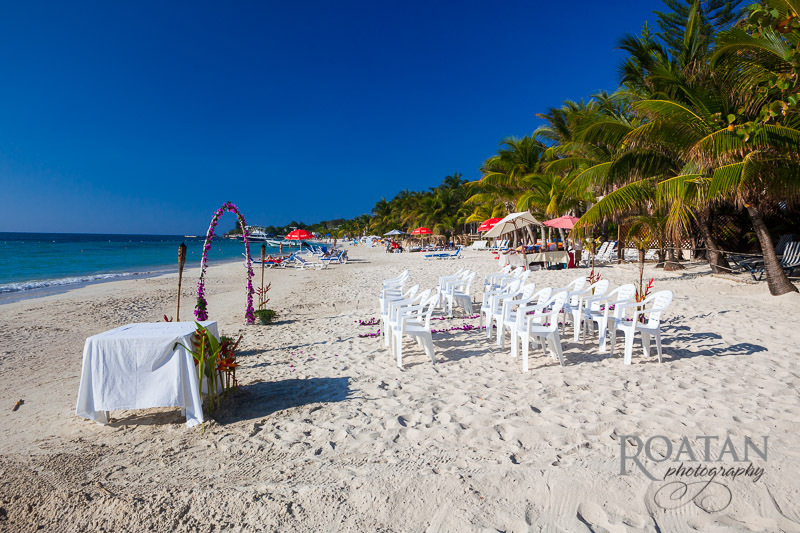 Once the guests were seated, the groom made a surprise entry on a small boat splashing through the clear Caribbean water of West Bay. 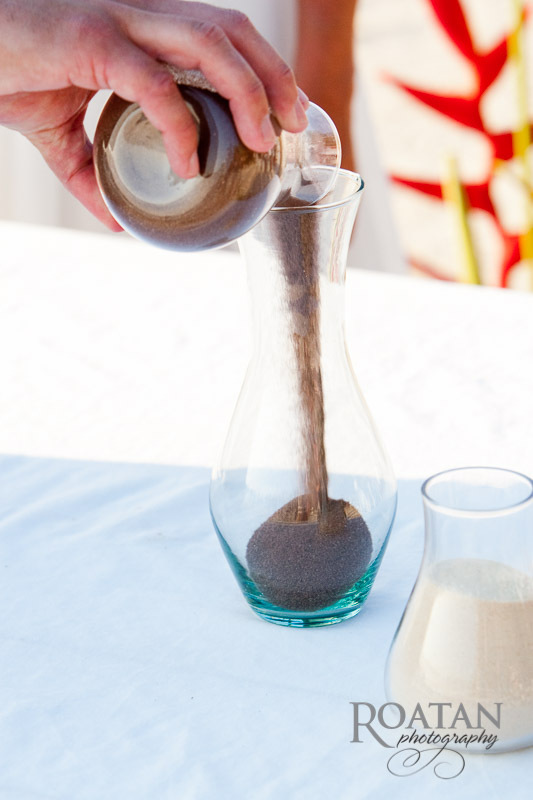 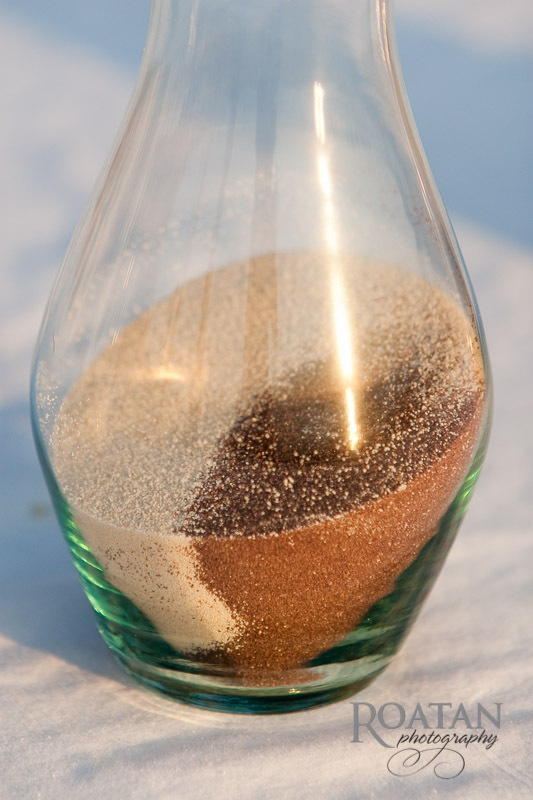 The ceremony was followed by a sand ceremony irrevocably intertwining the grains of sand representing both bride and groom. 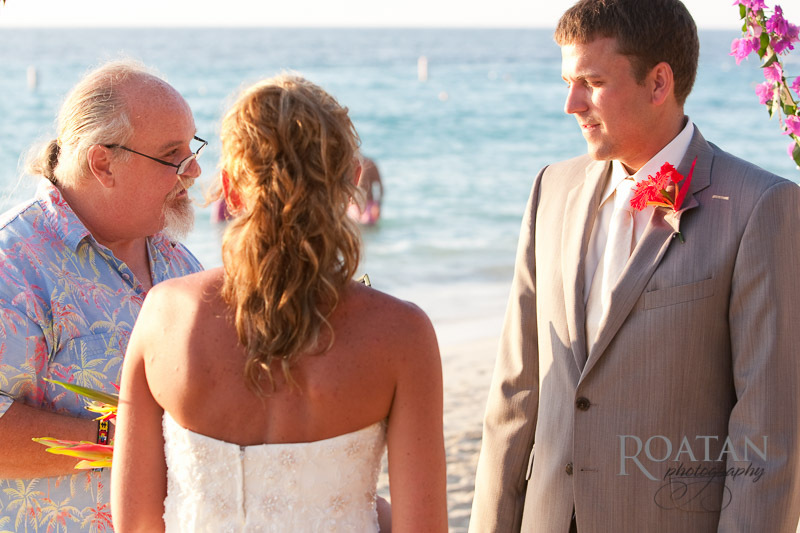 After the ceremony everyone relaxed and enjoyed themselves on the beach watching the sunset over the horizon, while I captured images of the happy couple walking down the beach. 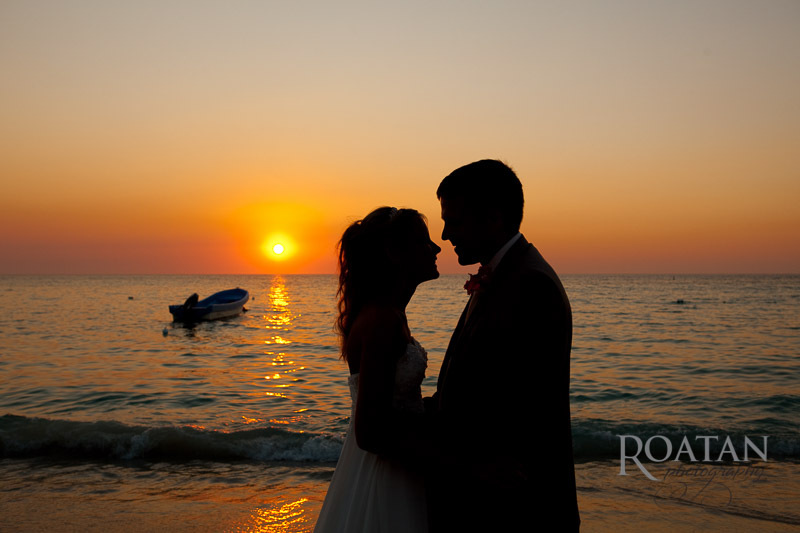 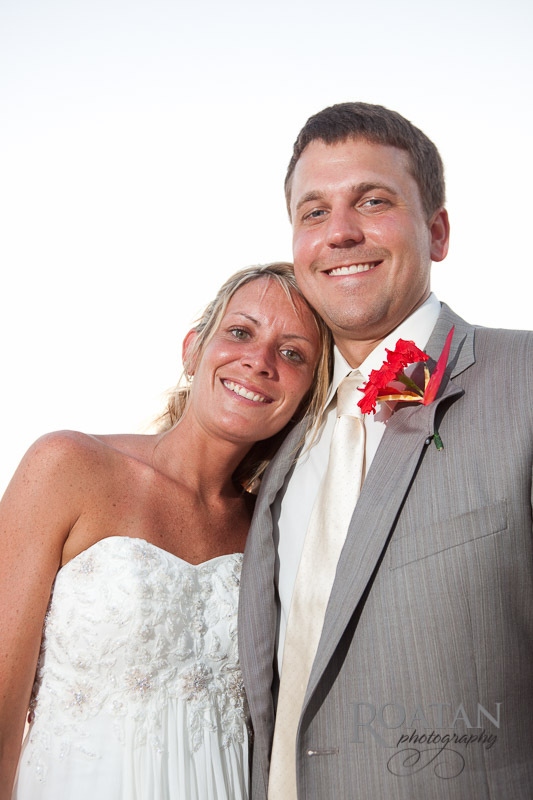 To find out more about wedding photos from Roatan Photography, visit our Wedding Photography information page.